Photo: Here is the configuration of my Model X, that I should receive in June or July. Good news, the Model X has finally received approval from Transport Canada, after several unsuccessful attempts. Therefore, the first deliveries of the limited Signature versions should arrive in the country in late June or early July. The official announcement of Canadian prices for the Model X in March had driven away several serious buyers of this 100% electric SUV. And with good reason! The prices were simply out of this world! Even taking into account the low value of the Canadian dollar compared to the USD, the price was still several thousand dollars above. And compared to a similarly equipped Model S, the Model X showed an additional cost of up to $ 31,000 though Elon Musk promised last Fall that it would cost around 5000 USD more than the S.
3 price drops in the last two months! Well, Tesla and Elon seem to have taken note of this financial paradox! In two months, we saw three successive price cuts, especially for the Model X. Note (*) : In March 2016, the Model S 75D was not available, so yes the Model S is slightly more expensive in May, but it has higher range (75 kWh battery instead of 70). The 70 kWh option is always available for the Model S (but no longer available for the Model X), and choosing it will lower your cost by $ 2,000 instead of increasing by $ 2,000 when going from 70 to 75 as before. As you can see, there’s been an average adjustment of $ 20,000 for the Model X! 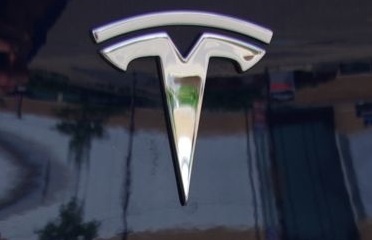 Moreover, the gap with its little sister, the Model S, is now as little as $ 2,000! In my opinion, now is the time to buy a Model X! The Canadian currency reached 80 US cents two weeks ago and is still going down (76 cents as of writing this article). So what happens for those who had confirmed their order on March 9? Will they have to pay the price set in March 2016? Quite a penalty for having given a deposit 3 or more years ago! It was not clear at Tesla Canada that prices would be adjusted for these “early birds”! Well, Dr. Kevin Leung sent a “tweet” to Tesla’s CEO (Elon Musk) about it! And yes, Elon responded and confirmed that he fully agrees; prices will be adjusted for ALL who ordered a Model X! And what about MY Model X? Those who know me remember I won access to a fully equipped Founders Edition Model X, for the price of a regular production base model. Well, I finally got my precious serial number and it should be delivered along with 60 other Signature versions heading for Canada. Note that Tesla Montreal bought the Tesla Model S P90D Ludicrous I won in the last referral contest. It was difficult for me to part with it so soon, but if I waited until the delivery of my Model X, the Model S would have lost at least $ 10,000 in market value. The exchange allows me to get the Founders Model X (Ludicrous too!) at almost no cost. Unfortunately, I do not have the means to keep both of these great cars … So I had to make a choice! I know, I’m not complaining! But I miss that beauty anyway, and I had a little twinge when I handed the keys! The P90D Ludicrous I won and I gave in exchange for the Model X.